Prior to starting therapy I am often asked “How long do you think this will take?” I never give an answer, and you should beware of anyone who does. Speech and language disorders are complex. There are many factors that can affect progress, some we can control and some that we cannot. My goal here is to give you 5 of the most important things you can do to help your child overcome his speech and/or language disorder. Actually getting speech and language therapy. This might sound obvious however many parents follow the advice “wait and see”. Parents are often told by well meaning friends and professionals, such as pediatricians, that the child might grow out of it. So instead of getting help they wait and see only to find out they should not have waited. This is very frustrating since another factor that affects progress is the child’s age. In most cases the sooner the better when it comes to therapy.Due to how the brain develops it is easier to learn language and communication skills before the age of 5. It is also easier to break a bad habit (articulation error) when it begins rather than wait until it becomes more ingrained.While your child should continue to learn to pronounce and use more complex words throughout his life he should be easily understood by all listeners, including strangers, by the time he is three. There are earlier speech and language milestones; however, this one is very significant and any child who misses it should be evaluated. The only person qualified to evaluate your child’s speech and language needs is a board certified speech language pathologist. If you are concerned with your child’s speech and language development, that is who you need to speak with. The amount of speech and language therapy received. The frequency of therapy has a direct correlation with the amount of progress made. This is one case when “the more the better” is true. A NOMS (National Outcomes Measurement System) study found that children who learned to speak clearly in therapy received about twice as much speech therapy as children who remained unable to speak clearly.To make the most progress in the least amount of time your child needs to get as much speech/language therapy as he can tolerate and no less than twice a week. 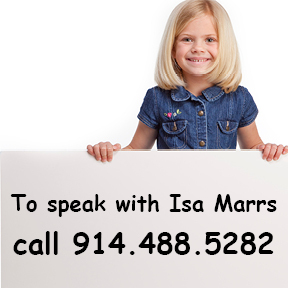 Whether individual or group speech language therapy is provided. Speech therapy, especially for articulation should be provided on an individual basis. Individual therapy, in my experience, is always more effective when it comes to articulation disorders. This is also backed up by the NOMS data.Group speech therapy decreases the amount of time spent with each child on their specific articulation needs. The reason for this is because each child’s articulation errors are always different. The way that they learn is also different.While there are times for group therapy, articulation isn’t one of them. Group language therapy does have its benefits. It is essential for helping children with pragmatic language deficits. The Skill Of The Therapist And The Quality Of The Speech Language Therapy. Not only does bad therapy waste time it can make the problem worse. Your child’s speech language pathologist needs to be highly skilled in the area your child is having the most difficulty and she also needs to have a good rapport with your child. If either component is missing there will be problems.In the worst cases children working with the wrong therapists become very fearful and resistant to therapy. When that happens it takes the right therapist a lot of extra time to really get started on therapy.This is a problem I have seen many times over the years. 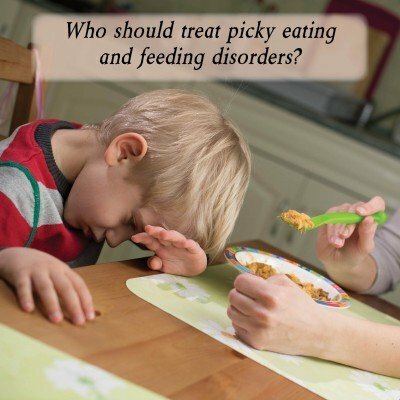 If your child has become resistant to therapy he can still be treated effectively by the right therapist; however, it will take her some time to gain his trust and get him to respond to therapy. Parent Involvement. Some of the most important factors that help children progress include parent carry over, participation and motivation. The more interest, devotion and excitement you show, the better your child’s attitude will be towards therapy. As a result the more progress your child will make. Whether it is doing homework, viewing therapy appointments as priorities, or talking to your child about what they are learning, it makes a huge difference. This is one of the many reasons children benefit so much from therapy outside of school regardless of how skilled their school therapist is. It’s easier for parents to be much more involved in a private setting. And the more involved the parents are the better.If your therapist isn’t giving you homework, ask for it. If you’re having trouble getting your child to do the work at home, tell your therapist and ask for tips. You need to approach speech and language therapy as a team. Be open, honest and involved. Your child’s progress depends on it.